When you need a safe and reliable way to quickly get cash, it’s important to realize that not all options are created equal. Some places make you wait for weeks to get a decision. Others ask invasive questions about your financial past and personal details. 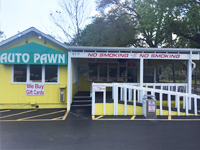 There are many reasons why you’d want to do business with a Central Florida pawn shop. You might need a fast source of income to deal with unexpected expenses. Maybe you’re planning a vacation, saving up for an engagement ring, or any other scenario. Or, you might realize that you don’t want or need that extra vehicle, and are now in the market to downsize. 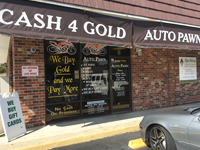 Well-known and respected for years as one of the best pawn shops in Daytona, Auto Pawn has three convenient locations throughout Volusia County. That means you’re never too far away from quickly getting the cash you need. Plus, our versatile money options mean there are many ways you can accomplish your financial goals. For example, we offer the most cash for gold in the area. Since we deal directly with the refinery, we can accept all sorts of jewelry, gold coins, and other items of genuine gold. Whether your jewelry is new, old, or broken, we’re interested. Got a gift card you’ll never use? We can help you turn it into cash money today. We buy all gift cards (including from Walmart) and pay the most in the region. Auto Pawn is simple and straight-forward. When you bring in your vehicle in good working order with a clean title in your name, you can be on your way with the cash you need in no time. In addition, we value and respect your privacy. We don’t require access to your personal bank account information. We won’t pry into your credit history or judge you based on some arbitrary credit score. Instead, our skilled and qualified team members offer generous terms based on a fair and accurate assessment of your vehicle. You just don’t get that kind of customer service and attention to detail at any other Palm Coast pawn shop. 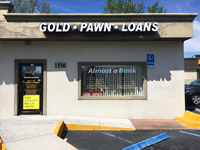 Discover why we’re consistently-recognized as a premier pawn shop in DeLand. Call us with any questions and feel free to stop by any of our three convenient Volusia County locations today.